There’s an equation involved in finding “the perfect read,” the first of which, though rarely recognized, being timing. I was coming off a cold, hard winter when I picked up THE WEDDING BEES, a story in which the author has written summer to flavor everything from clothing to activities to food. First “perfect read” requirement met. Especially right now. But timing isn’t enough, I’m afraid. Timing would mean nothing if the author didn’t have the chops to write her summer setting in such a way as to warm my bones, where reading a chapter has made me feel as though I’ve just absorbed a potent shot of Vitamin D through her words, where even her characters--some terribly sad and damaged--seem sunny at the core. 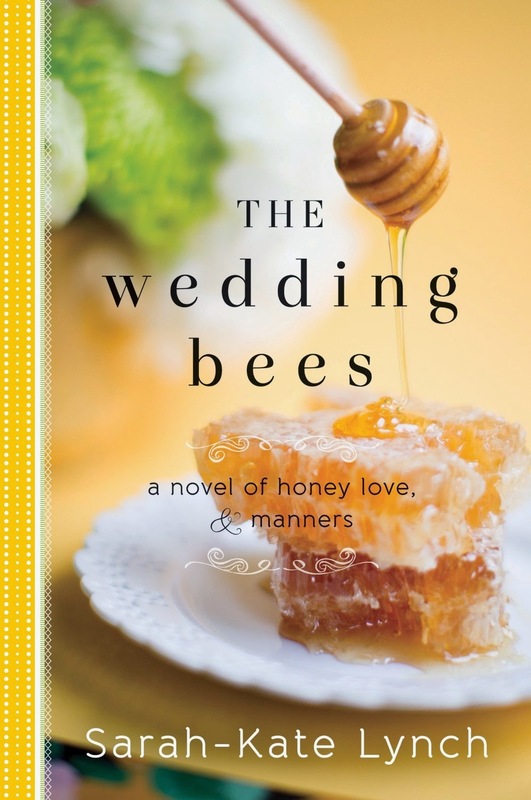 THE WEDDING BEES has them all: original, funny, sad, vulnerable characters. And I cared for the extended cast nearly as much as I cared for the hero/heroine. Which brings me to the heroine. Sugar Wallace, a former debutante with a past she’s trying to escape, lets her honeybee queen decide each year where she will live next. After all, the bees have never steered her wrong. The reason she escaped her past in the first place was because the bees gave her a sign. So when her queen bee stops on New York City on an old map, Sugar moves there. She finds herself in an East Village walk-up full of strange neighbors who need a little of her honey, care and Southern-bred manners. So after setting up her bee hives on the balcony of her tiny rooftop apartment, Sugar throws herself into helping each one of her them, making each a part of her eccentric little family. But then there’s Theo Fitzgerald, the Scottish lawyer who falls for Sugar the moment he meets her. And even though the smallest contact of his hand on hers feels like “a blowtorch on crème brûlée,” it’s too quick. He’s too much, too charming; the happiness he promises her, too threatening. Sugar is not interested. She can’t be. She’ll help other people find love but for herself, honey is the sweetest thing she’ll allow in her life. Though her bees may have other ideas. After all, they’ve never steered her wrong. THE WEDDING BEES isn’t your typical romance with pounding sexual chemistry or white knuckled suspense. It’s quiet. Different. And yet I found myself making excuses to friends and family so I could read. Lynch breathed fresh, sunny air into my otherwise stale winter. Perhaps her new take on this contemporary American romance may have something to do with being a New Zealander--she gives New York City a homey, small-town feel which may, in part, have to do with being a visitor, with shrinking down a place to make it more accessible. Or it may be she’s just a lovely writer who sees the world as her own little beautiful neighborhood. Either way, the book is utterly charming. Include good writing and it all adds up to make THE WEDDING BEES my perfect end-of-winter read. Thanks for sharing. The Wedding Bees is now on my must read list! Mine too, Rita. Thanks for stopping by! It makes a lovely dinner date, Rita. Thank you for a wonderful review, Julianne. Makes me want to play hooky today, take my copy of The Wedding Bees to the backyard and soak up some spring sunshine while I lose myself in the feel of summer. I want your exact afternoon, PJ! What a great review, J! It makes me want to read this book ASAP. I'm off to check it out. I'm at a track meet right now, Janga, the sun at my back. I can't help but think my reading that book encouraged the sun along. The book sounds wonderful but I must admit I am a sucker for New York settings....not for the obvious An Affair to Remember reasons but for the eclectic cast of characters you can find. The quiet beauty of some characters that would seem to be an enigma in a bustling city. And let me jus state that adding that Scottish lawyer didn't hurt either. Going to download now. Thanks J! Exciting. This is a terrific book and I enjoyed it immensely. I also feel as though I learned a lot about bees and I had to go in search for something with honey! Enjoy, Readers! If you want eclectic characters and NYC, Hope, this book I'd definitely for you! Connie, I had the same response! A bagel with honey did it for me. Thanks for the review! I love to hear about new books and authors..I will have to look for this book it sounds like a book I would devour. Donna, it's devourable... particularly if you live in northern climes. I don't usually read contemps, but your review has captured my interest in this story, Julianne. Eclectic characters, and perhaps a touch eccentric, but sounds like a warm story. Your review was well-written and I thank you for catching my attention with your words. This one is on my TBR pile as of now. This sounds like a delightful read. Looking forward into diving in. You won't be sorry, Karen. Thank you so much for the review of THE WEDDING BEES and introduction to a new author for me. It sounds like a delightful book. Low key stories are often under rated. The characters can slowly reveal themselves and the plot naturally develops. Few of our lives involve the drama and action so many romances portray. Characters and a story like this are easier to relate to than a heroine being pursued by a serial killer or attending a Regency ball. It is kind of nice to see how someone much like us can have these experiences. This sounds like the perfect book to welcome in Spring. "Low key stories are often under rated. The characters can slowly reveal themselves and the plot naturally develops. Few of our lives involve the drama and action so many romances portray. Characters and a story like this are easier to relate to than a heroine being pursued by a serial killer or attending a Regency ball." Amen, sister. Exactly so. And yet, it is often the other kind of stories, the-larger-than-life stories, that pub houses think we readers crave. Not so. I want to escape AND relate... which is exactly what you've said. Let me know how you enjoy it, Librarypat. I'd be interested to hear.